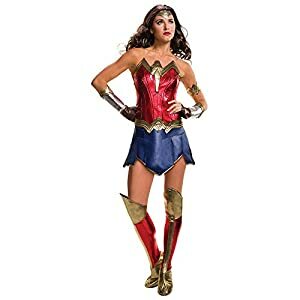 As one of the world’s first female superheroes, Wonder Woman has stood for peace, love, and equality from 1941 all the way until now, when she will be appearing in Batman v Superman. 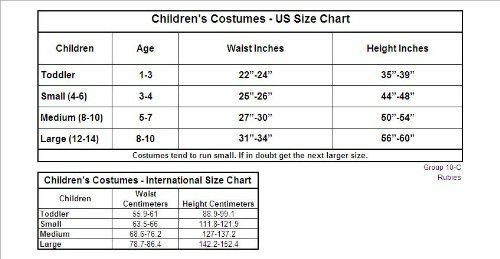 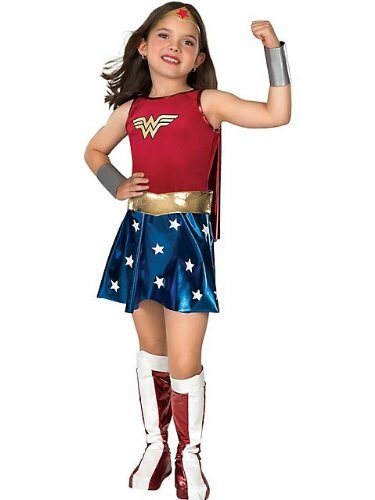 Now your little girl can honor this one of Earth’s most powerful heroes by wearing this Kids Batman v Superman Wonder Woman costume. 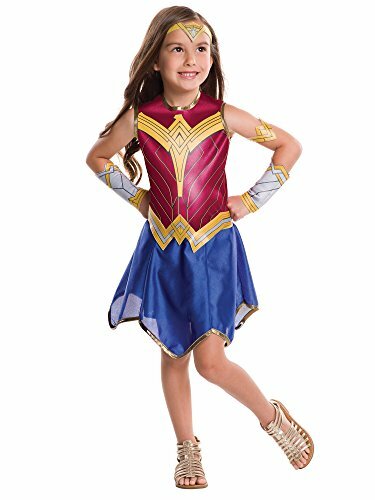 This costume comes with a sleeveless dress featuring a red bodice printed to resemble the Amazonian armor that Wonder Woman Wears, as well as a blue skirt trimmed with a gold hem on a handkerchief hemline. 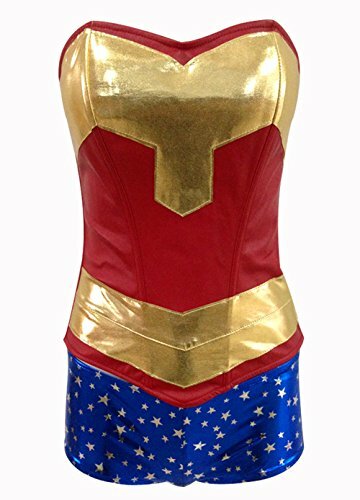 Completing the costume is Wonder Woman’s famous silver gauntlets, tiara, and gold arm band.